Unity consciousness begins within you. As you unite your heart and mind, you become a powerful electromagnetic force of creation. This inner connection creates a unified being of immense Loving power—the connected, confident, creative, and compassionate you. This class builds on your Heart Clarity, opening you to the understanding of how to begin to connect your heart to your mind in ways that enhance your intuition and your trust with Life. Your Conscious Coherence is key to understanding your dual nature and merging your physical experience with higher realms of Love. This is your natural state. In this state you flow easily with the current of change, whether in a moment of challenge or triumph. You remain open to the stream of information, creation, and possibility. Your life changes. 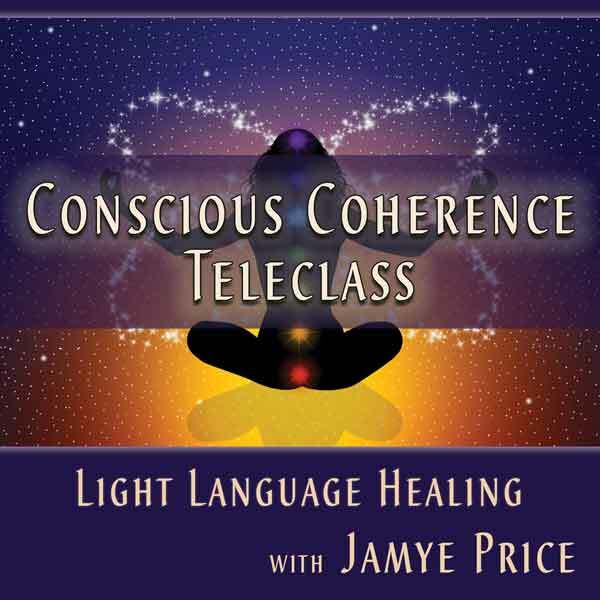 Jamye utilizes profound Light Language transmissions, Crystalline Soul Healing frequencies, and practical, esoteric information to help you transform your life permanently from within! This session can be heard via phone or the web (great for international listeners), and the recording is available after the call if you are not able to attend the live call.